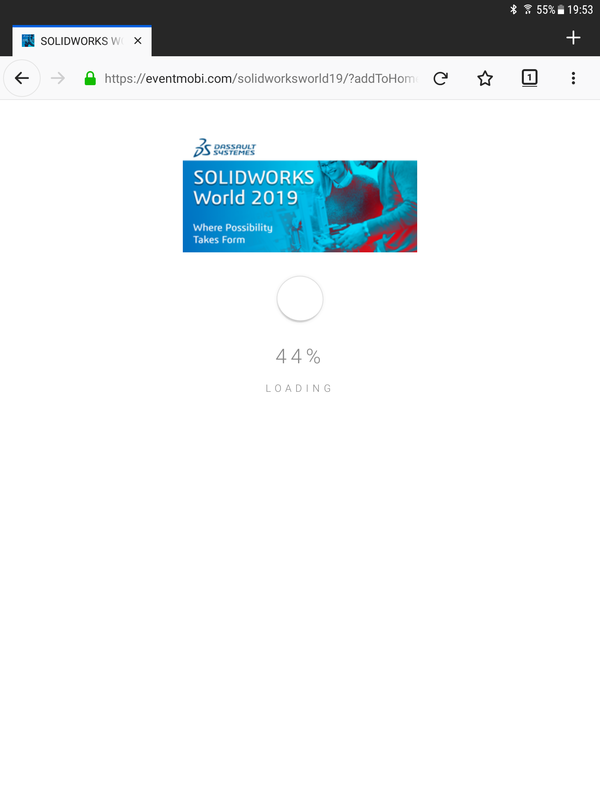 The SOLIDWORKS World 2019 App is now available! Well it’s more of a mobile website than a App! Browsers based it works for iOS and Android as well as via your computer. 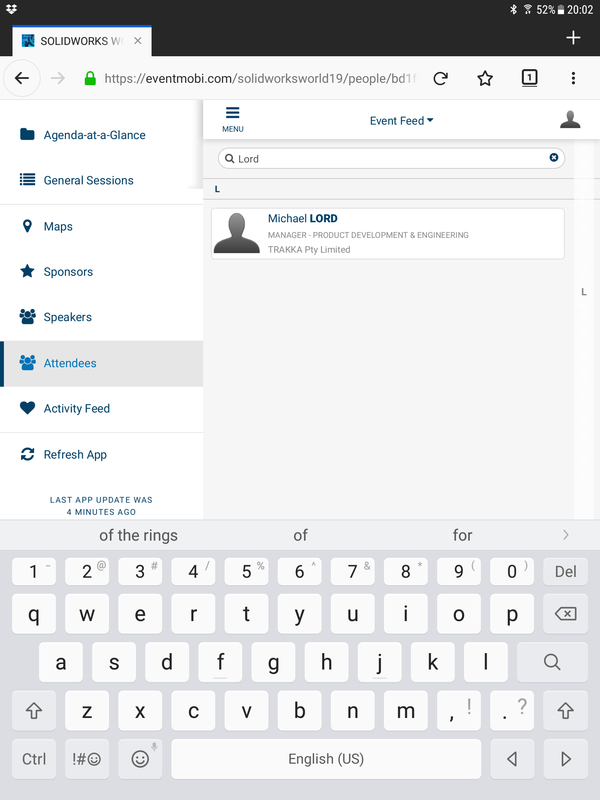 Slide out Menu open on the left and provides Access to the various folders. 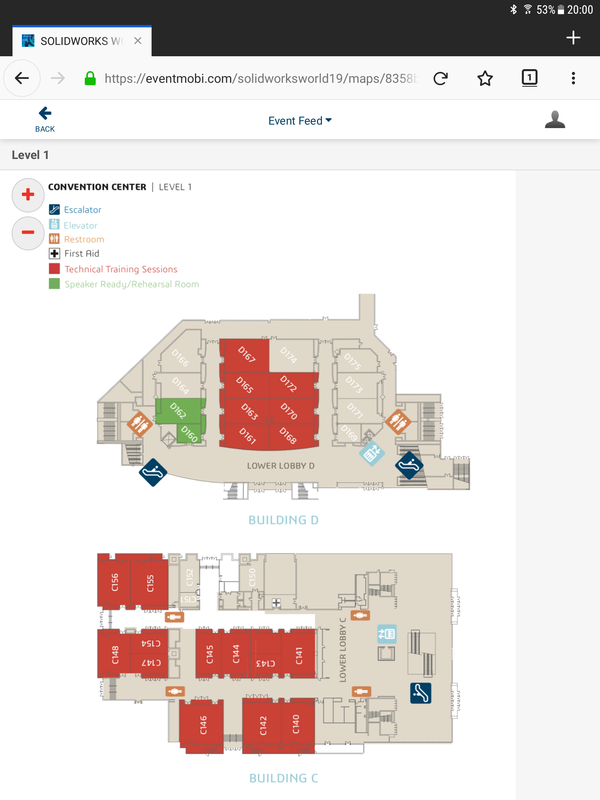 Conventions maps are provided but are not interactive. 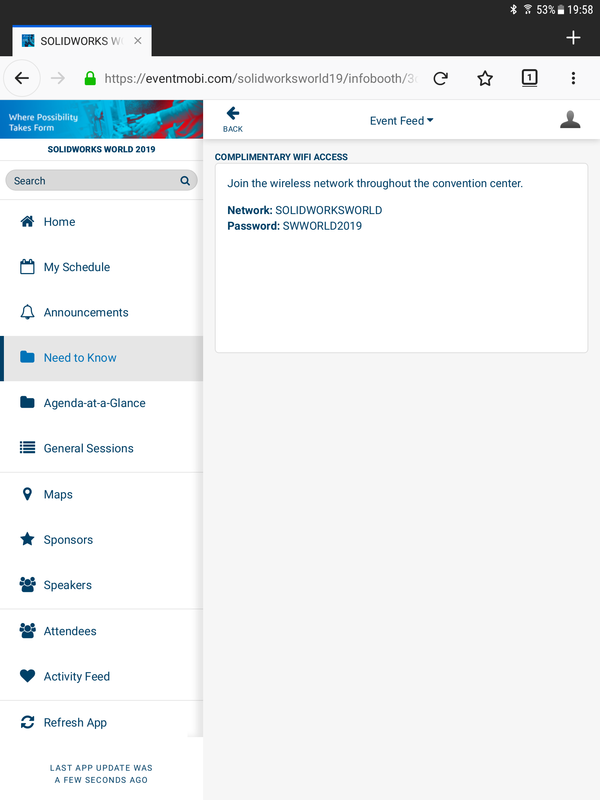 You can search and find who is attending! The only thing left is for the weekend to get here …… see you soon! Thank you Michael. 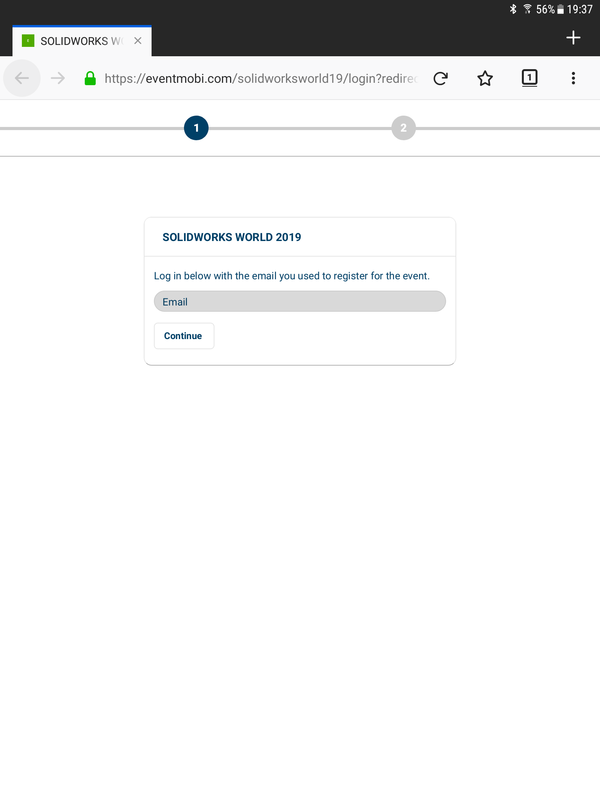 I have posted a link on “SolidWorksWorld 2019 FYI” pointing to this.